Staff was extremely kind and helpful about anything we needed! Even though we arrived after check-in time, the owner waited for us to give us the keys and explain everything about the facility and easy ways to get around the island. The room was comfortable, spacious and rather clean and tidy. We had enough hot water and wifi was great too! For those who love to have meals at home there was a nice kitchen, and each room had a fridge. However, the pansion is situated very near the island center, where bunch of restaurants are as well. One of the nice beaches is withing 7 mins walk from pension pangliota, and other are easily accesable as well! The most positive impact made the owner lady and her father, whose kindness can never be forgotten! 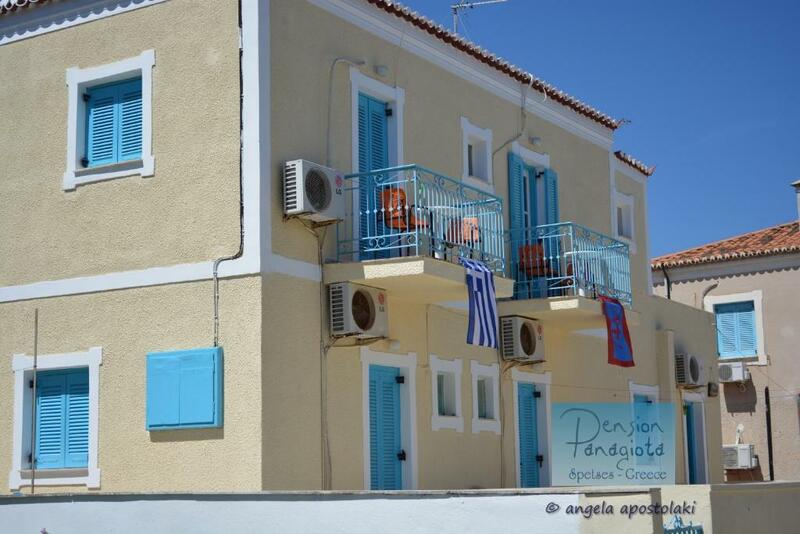 I will most likely recomment to all my friends and family to visit Spetses and to stay at Pension Pangliota! 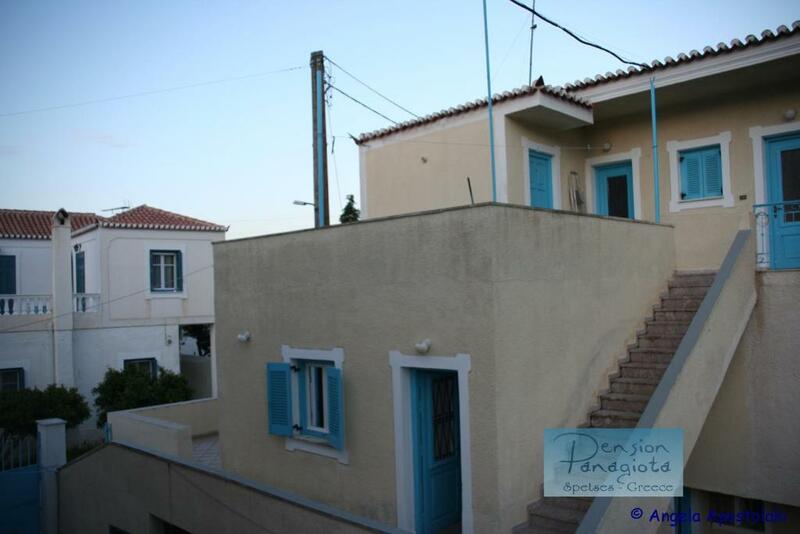 This pensione is 20 minutes away from Spetses port on foot at good pace. We booked three rooms, and one of the rooms had toilet flush leaking, but this was "not a problem", and would be fixed "tomorrow". Please maintenance is important, not possible to stay in a room that has sewer discharge leaking on the floor. Thank you. Rooms were otherwise clean, beds are short, staff uneventful. Good value for money, walking distance to the closest beach and not far from the old port where there are plenty of restaurants. Nice staff. A/C worked well in the room. The hostess was rude & not helpful. Very noisy in the morning: when the cleaning was happening they were extremely loud without respecting the guests. 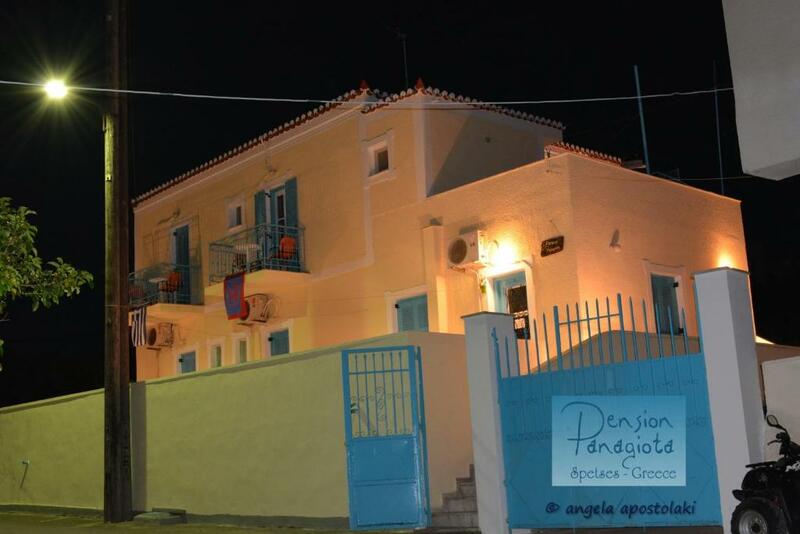 The location of the pension was quite convenient, only 2 minutes from the Old Harbour and 7 min from the beach. The shared kitchen was also a plus and it was equipped with cutlery, plates, cups and glasses. Additionally, there was equipment for coffee (filter, frappe and Greek). I advice you to buy your own coffee because the taste (nescafe) was a little bit off. στη πανσιον μασ περιμενε η χρυσουλα η γυναικα που τησ ανηκε η πανσιον ,πολυ φιλοξενη , εγκαρδια απο την αρχη μαζι μασ , ευγενικοτατη , συνεχωσ προθυμη να μασ κατατοπηση στο νησι ,αριστη οικοδεσποτησ!! , οσο αφορα το δωματιο ηταν ιδιαιτερα καθαρο και ειχε απο ψυγειο μεχρι οδονροβουρτσα στη τουαλετα ειχε δικο του μπαλκονακι ενω υπηρχε και κοινη μεγαλη κουζινητσα .το ξενοδοχειο ειναι πολυ κοντα στο παλιο λιμανι !!! θα ξαναρθουμε( αρησ και βασιλησ )!!! Als je geen luxe verwacht is dit pension ok. De kamer met balkon is niet zo groot. Er is een gemeenschappelijke keuken. De locatie leek ons nogal veraf van de haven, maar eigenlijk viel dat heel goed mee. De kamers zijn simpel maar netjes. De kamers waren niet duur, je krijgt waar voor je geld. Located in the Old Harbor of Spetses Island, the family-run Pension Panagiota features air-conditioned accommodations with views of the Saronic Gulf, the mountain or the property’s garden. Restaurants, shops and Garifalo Beach are within a 3-miute walk. 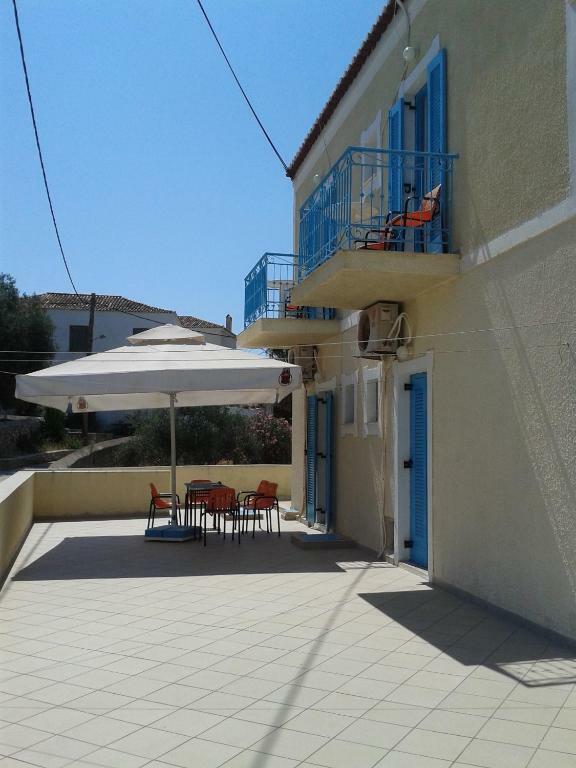 All rooms at Pension Panagiota are simply furnished and open out to a balcony. Facilities include a mini fridge, TV and hairdryer. Guests have access to a communal kitchen to prepare their own coffee. Dapia, the main port of Spetses, is around 0.6 mi away. The organized beach of Agia Marina with beach bars and seaside taverns is 5 minutes’ on foot. 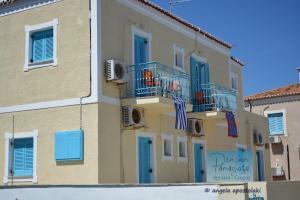 When would you like to stay at Pension Panagiota? Air-conditioned rοοm opening to a balcony with views. It features a mini fridge, TV and hairdryer. Η Πανσιόν Παναγιώτα είναι μια οικογενειακή επιχείρηση και βρίσκεται στο Παλιό Λιμάνι στις Σπέτσες μόλις 12 λεπτά από το κεντρικό λιμάνι των Σπετσών, την Ντάπια! Η Pension Panagiota βρίσκεται στην περιοχή Παλιό Λιμάνι Σπετσών και μπορείτε να έχετε πρόσβαση στο Παλιό Λιμάνι για τη νυχτερινή ζωή του νησιού καθώς εκεί βρίσκονται όλα τα μπαράκια. 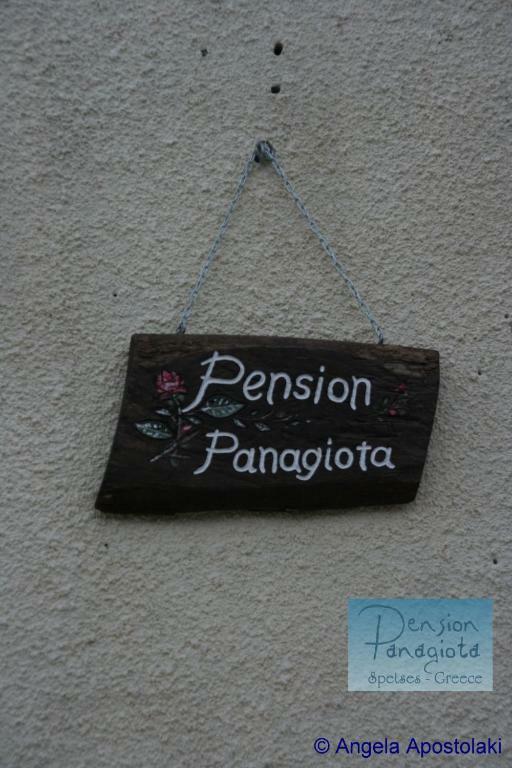 House Rules Pension Panagiota takes special requests – add in the next step! Pension Panagiota accepts these cards and reserves the right to temporarily hold an amount prior to arrival. 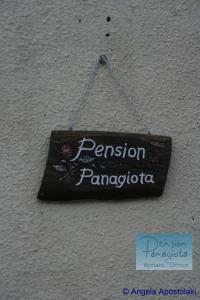 Kindly note that Pension Panagiota's reception operates from 10:00 to 19:00. Please inform Pension Panagiota in advance of your expected arrival time. You can use the Special Requests box when booking, or contact the property directly with the contact details provided in your confirmation. Please inform Pension Panagiota of your expected arrival time in advance. You can use the Special Requests box when booking, or contact the property directly using the contact details in your confirmation. The room wasn't particularly clean (dusty, the bin had a chewing gum from previous guests, the towels were dirty). 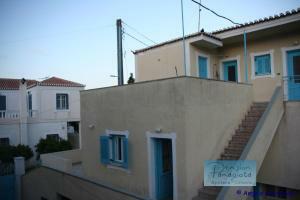 This pensione is 20 minutes away from Spetses port on foot at good pace. We booked three rooms, and one of the rooms had toilet flush leaking, but this was "not a problem" and would be fixed "tomorrow". Please maintenance is important, not possible to stay in a room that has sewer discharge leaking on the floor. Thank you. Rooms were otherwise clean, beds are short, staff uneventful. They changed sheets and towels every 3days. The room was not very well cleaned. The location of the property! It was a little difficult finding the hotel! But once we arrived, our hosts were super nice and helpful. All equipment old & outdated, the bathroom was a mess. I disliked the fact that on the 2nd day the host entered our room while we were at the common terrace and "tidied up" the room...there was water on the floor of the bathroom and I felt it like an invasion of my privacy since we had just gotten up and I hadn't time to tidy up the room like on the first morning. I also disliked the fact that the shower phone was leaking. Furthermore, there was no replacement of the toiletries on the 2nd day. The location is quite good and the host was friendly and gave us tips for the area but the aforementioned facts made me give this average rating to the pension. I hope that there will be an improvement in the future.